I am 5 years out of a BHR on the right side. I have always been a runner, but it did take me 4 years to get back to running. My hip just wasn’t strong enough and I had a lot of failed starts. But after years of PT work, I am back full swing…. I ran the Cherry Blossom 10 miler and the GW Parkway 10 Miler races in DC this spring. I had hip flexor problems during the race, although I’ve had them since this whole hip thing started (I had two previous surgeries to try to fix FAI). But my annual cortisone shot cleared that up. 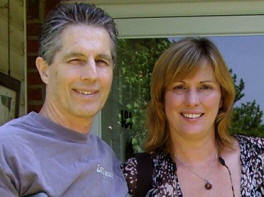 My name is Kathleen & I wanted a chance to add my story to your site. I am 39 years old & Dr. Mont performed left hip resurfacing on me on January 3rd 2008. I had spent the last 25 years dealing with the progressively worsening effects of being hit by a car at the age of 14. Had my resurfacing done by Dr. Mont at Sinai in Baltimore on Feb. 13, and am progressing slowly. The arthritis pain is gone, as is the lower back pain I used to wake up with on the side of my (old) bum hip. I think the staff and facilities at Sinai were top-notch (with a few relatively minor exceptions). Also, I have read others describe Dr. Mont as not being very “touchy-feely,” but my experience was different — even on surgery days, he popped in to see me twice daily, and even tried to crack a few jokes. Nice guy. I’m doing well nine days after my left hip was resurfaced by Dr. Mont at Sinai Hospital in Baltimore. The first three days after surgery were somewhat discouraging, but on the fourth day I started using crutches, which I find to be MUCH preferable to a walker. I’m 73, had no one to accompany me to Baltimore from upstate New York, and live alone, so I decided to spend some time in rehab here before heading home. 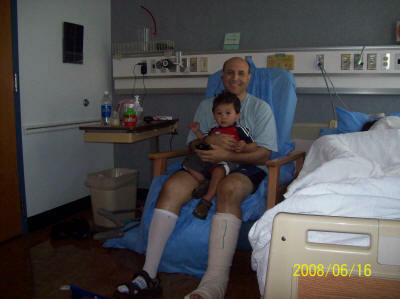 I learned that I had Osteoarthritis on my 47th birthday November of2007. After playing basketball consistently for months my legs and body were getting stronger but I had worsening groin and hip pain. My local doctor took x-rays and determined my condition. He suggested I Stop all impact sports which, reluctantly, I did. However, after wining to a co-worker about my situation she pointed me to her racquetball partner who had his hips fixed by Dr. Mont about a year before. This was not a solo effort. I had the benefit of my team and Dr. Mont’s team–both very strong. My wife Jennifer is the heart of my team. Whether urging me on, planning, arranging insurance, supporting the pre-op physical program, or taking care of things in the middle of the night in the hospital room–she has been a tireless and devoted companion. I had left Cormet hip resurfacing with Dr. Mont on Oct. 13, .just over a month ago, and I seem to be healing nicely. I was extraordinarily pleased with his skill. I think he is brilliant. I am now 6.5 weeks post-op. I returned to my sedentary job 5.5 weeks post op. I still use one crutch at work, but around the house I’m full weight bearing. I was on this website a lot when researching BHR… then got too busy. But I just signed up for my first 10K after the surgery and thought it was about time I paid it forward for others thinking about the surgery. My story starts 10 years ago. I was a 400m hurdler in High School and College. After that, I run marathons and half marathons. I was never really fast at these longer distances, but I liked the challenge of completing them. And I am one of those people who truly get the ‘runners high.” I couldn’t imagine life without running. …I’ve started running again. I tried once I was cleared after the surgery but I don’t think my hip was strong enough at that point. And truthfully I’m terrified after being told twice before I could run. I did lots of hiking instead for a while. But Dr. Mont is confident that if I keep doing my hip exercises (leg lifts for front, back and side), I should be fine.